Tax, title, license, and optional equipment extra. Not available with some special finance and lease programs, and some other offers. Applies only to 2015 models. 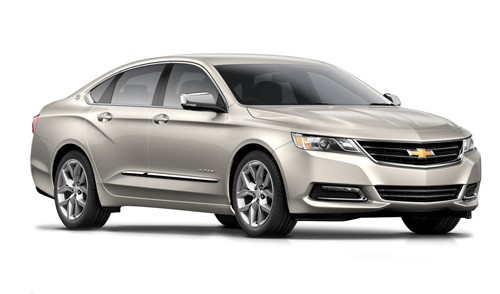 Payments are for a specially equipped 2015 Chevrolet Impala LT FWD with an MSRP of $29,985, 24 monthly payments total $5,468.40. Tax, title, license, and optional equipment extra. Not available with some special finance and lease programs, and some other offers. Applies only to 2015 models. 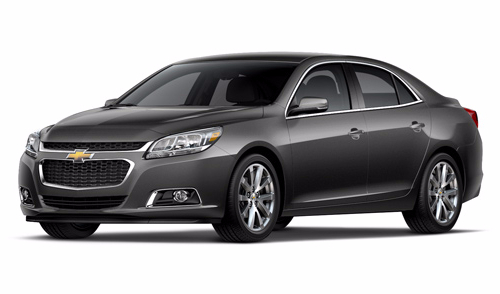 Payments are for a specially equipped 2015 Chevrolet Malibu LT with an MSRP of $24,560, 24 monthly payments total $3,865.16. Tax, title, license, and optional equipment extra. Not available with some special finance and lease programs, and some other offers. Applies only to 2015 models. 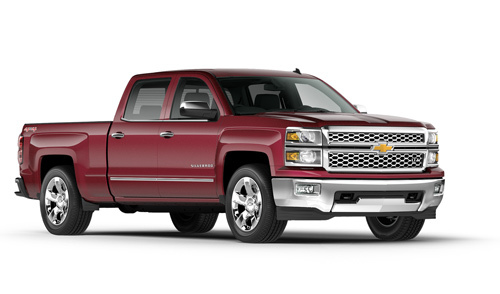 Payments are for a specially equipped 2015 Chevrolet Silverado 1500 4WD LT Double Cab All Star w/4.3L V6 PZX with an MSRP of $40,920, 36 monthly payments total $9,676.80. Tax, title, license, and optional equipment extra. Not available with some special finance and lease programs, and some other offers. Applies only to 2015 models. Payments are for a specially equipped 2015 Chevrolet Traverse LT with an MSRP of $34,670, 24 monthly payments total $5,488.80. Tax, title, license, and optional equipment extra. Not available with some special finance and lease programs, and some other offers. Applies only to 2015 models. 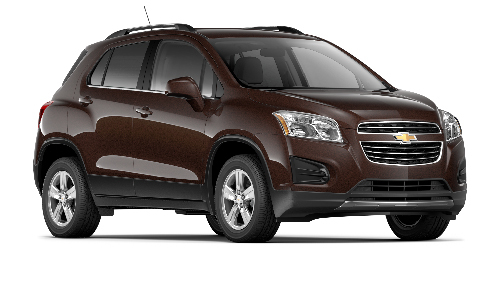 Payments are for a specially equipped 2015 Chevrolet Trax LT with an MSRP of $23,320, 24 monthly payments total $4,368.62. Tax, title, license, and optional equipment extra. Not available with some special finance and lease programs, and some other offers. Applies only to 2015 models. 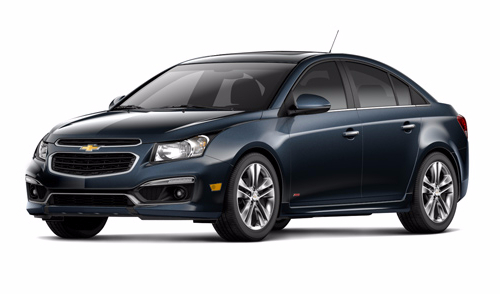 Payments are for a specially equipped 2015 Chevrolet Cruze 1LT with automatic transmission with an MSRP of $20,920, 24 monthly payments total $3,364.21. Tax, title, license, and optional equipment extra. Not available with some special finance and lease programs, and some other offers. Applies only to 2015 models. 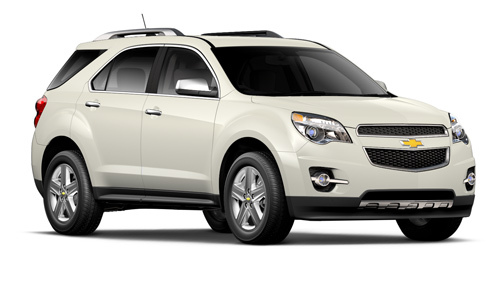 Payments are for a specially equipped 2015 Chevrolet Equinox LT FWD with an MSRP of $27,045, 39 monthly payments total $8,565.58.